There’s no denying everybody loves a bit of piri piri chicken, but why buy the Nando’s sauces when you can really simply and easily make your own? This is a great dish to do when you’ve got loads of people to feed, it’s perfect for buffets and barbecues. The marinade can be prepared the day before and then on the day the chicken can be shoved in the oven and left while you get on with everything else. 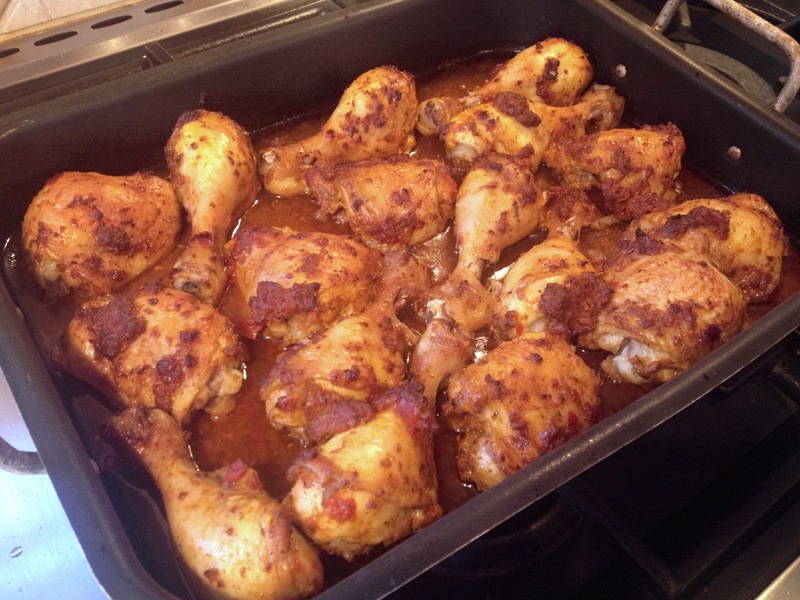 You can’t go wrong: everyone likes piri piri and its a real crowd pleaser. My inspiration for this one originally came from a Jamie Oliver recipe from 30 Minute Meals, but as I wasn’t going for a quick mid week dinner and wanted a slow cook/marinating kind of recipe, I looked up a few others online and sort of mashed them all together and adapted it accordingly. If you don’t want to make this dish in bulk to feed the masses, and just want to do it as a family meal, use however much chicken you need to feed 4-6 people and cut the marinade ingredients by half. Serve with home made fries or new potatoes and salad. 1. 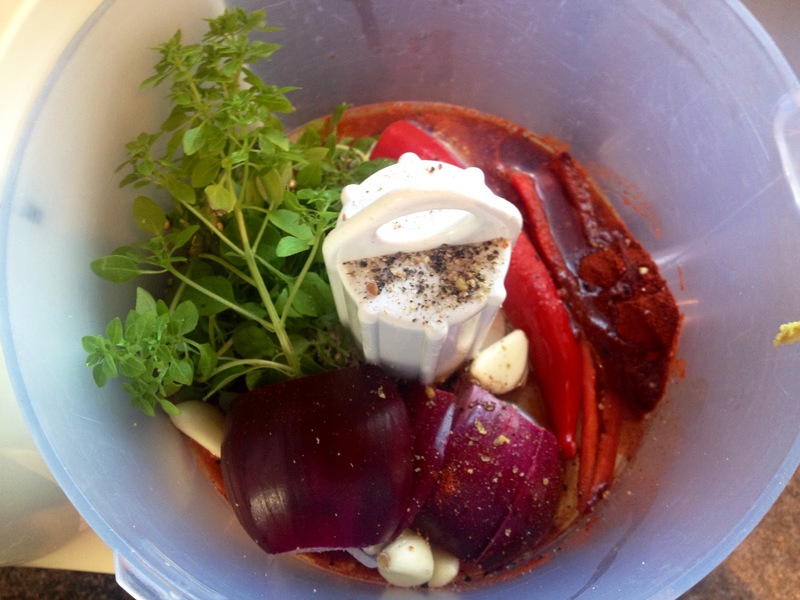 Blitz together all the ingredients for the marinade in a food processor until a smooth, runny paste is formed. 2. Place all the chicken pieces in a dish and cover in the marinade. 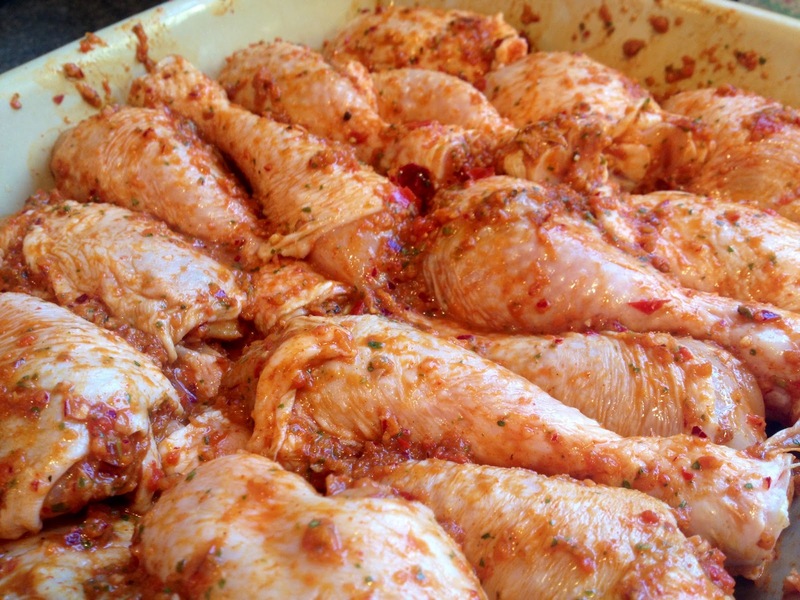 Slice into the chicken pieces and ensure the marinade is well rubbed in, and all the meat is completely covered. Cover and leave in the fridge over night. 3. Preheat oven to 150°C. 4. Place chicken pieces in a deep baking tray and drizzle with olive oil. Ensure all the marinade is poured over the chicken pieces. 5. 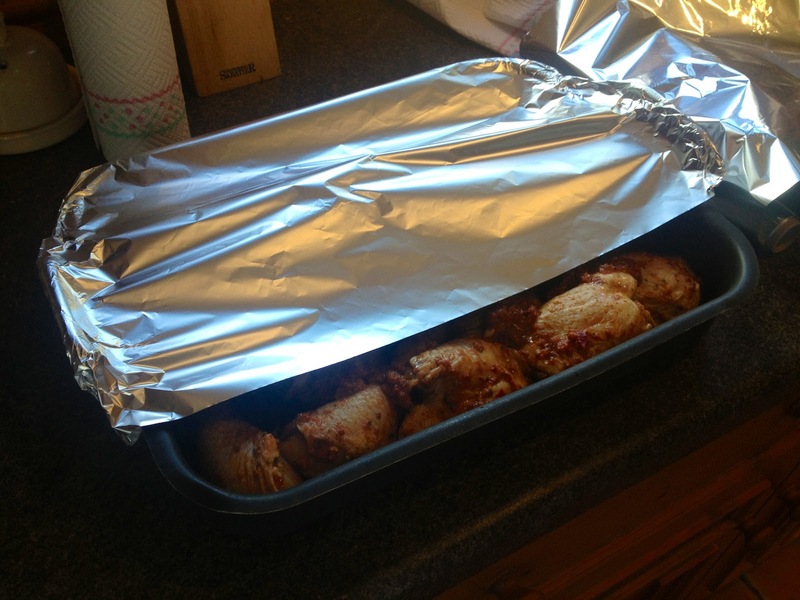 Cover with foil and bake in the oven for one hour. 6. Remove foil, turn the heat up to 180°C and bake for a further 30 minutes or until skin has gone crispy. Alternative method: If making this dish for a barbecue, rather than baking for the final 30 minutes, grill on the barbecue until golden and crispy. 7. Serve to a table full of hungry diners!